A short time ago I attended a meeting where members of a college English department were doing a presentation to the faculty about their writing program. As I listened to about a 30-minute presentation of the types of writing required by this program, it became obvious to me that two words in this presentation of a college writing program were never uttered. They were two words that as an educator I come in contact with almost every day. Two words that have changed the way information is exchanged. The two words, never mentioned, have transformed the publishing industry. The two words have revolutionized journalism. These two words have moved authentic learning to the fore in writing classes across the country, or rather the world. These professors of writing had developed a program which by all accounts was very effective, but overlooked and did not even mention either of the two words that had changed forever how society views and consumes and disseminates the written word in the 21st Century. Obviously, someone did not do their homework, or maybe they were just not connected. If it is not yet apparent, the two words are “Blog” and “Post”. Sometimes they appear as one, “Blogpost”. I was a reluctant blogger. I needed to be pushed into doing it. I saw no need to put myself at the mercy of the public scrutinizing: my every idea, my every word, my every mistake. I also did not believe that, even if I managed to start a Blog, I could sustain it with any substantial ideas over a period of time. That was 136 blog posts and two years ago. That number does not include guest posts done for other Blogs. What I learned and appreciate more than any other thing that I get from blogging is that I write for me. It is a reflective, personal endeavor. I made the choice to open my blog to public scrutiny. I encourage comments to my ideas, to affirm, or further reflect on those ideas based on the reader comments. Testing my ideas in public is testing I can believe in. Of course I can take that position because pretty much most of what I have written has been fairly well received in over 2,000 comments. As an educator I believe kids should be introduced to blogging early. A writer’s work will quickly improve with a real audience. Writing for an audience of only one is a tedious process. This is the preferred method in education. The writer needs to wait for the composition to be graded. Of course the student writer can always shake off the teacher’s criticism; because the writer is convinced the teacher hates him anyway. With comments from a real audience providing proper feedback, the writer gets a better sense of impact on the audience as well as recognition for accuracy and focus. Of course it is also on the teacher to teach kids how to responsibly comment and respond on other’s posts. We can’t hold students responsible for things that we don’t teach them. 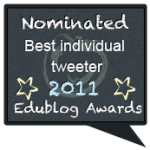 As an educator I believe educators should be blogging. We need to model that, which we are demanding of our students. It also opens the teacher to the effects of transparency. 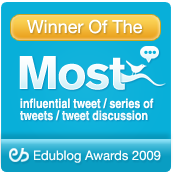 It goes without saying that teachers must be thoughtful and responsible in what they post. We have to remember that any idiot can write a blog and most do. 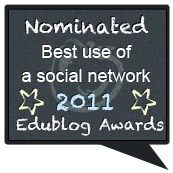 This is why we need more educators modeling and contributing to the pool of responsible blogs. Teachers who abuse their responsibility by irresponsible posts are for the most part just irresponsible adults who were never taught about the responsibilities or the impact of the blogging. As an educator I believe that administrators should be blogging. Administrators in theory are our education leaders. They have an obligation to tell us where we are going and why we should go there. Education can no longer be an isolated profession. There is too much at stake. I continually try to convince administrators to blog. Many have the same trepidations that I had at first. Most, after taking the plunge, become blogging advocates. Check out the Connected Principal’s Blog. 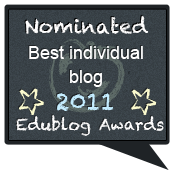 This is a collaborative blogging site for principals, most of whom are recent bloggers. 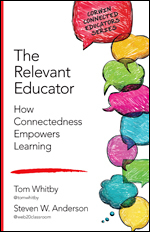 The whole idea of Connected Educators is to break down the barriers that have prevented us from exchanging ideas in a big way. Technology has provided us the tools to share and collaborate in astounding ways. We do that on a daily basis with existing content. Blog Posts provide us with: original thought, new ideas, questions, reflections, and much, much more. This is not just a job for writing teachers. The computer is the today’s publisher. Computers do not send out rejection letters. If we as educators recognize the position blogging now has and will continue to have in our society, we need to take responsibility for teaching proper use in whatever our academic field of choice. We need to model for the next generations. We need to use the Blog as a tool to connect and communicate. We need to blog in order to openly reflect and challenge. We need to blog for ourselves while opening our ideas to others. For many this is a scary thought, but for many others it is a challenge. Absolutely agree. Of course I blog for me and not about education but life and gardening. As an administrator, it is scary to blog when you work in a place where communication is discouraged. I am retiring sometime in 2013 probably August and hope to write more. 140 posts in almost 2 years. I started to blog to get past my fears…and of course you were the role model…thx Tom. At least on the college level, tenure issues might seem to prevent faculty from allocating substantial time to their blogging as opposed to traditional forms of “accepted” scholarship. 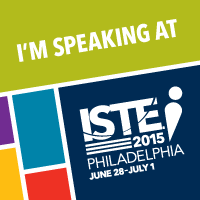 Scott Jaschik’s article “Getting (Digital) Respect” in Inside Higher Ed gets at this dilemma. 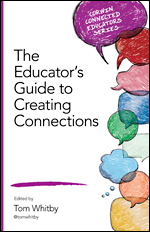 Blogging for me was an introduction to being a Connection Educator. After I started blogging, and following others I got into Twitter, I got into a PLN, and after a few others – I became a better teacher. And I think its because of this that I’ll continue to be a better teacher. Thanks for sharing your ideas, Tom! Thank you for this insightful post. I am an advocate of blogging with students. I’ve found that by allowing kids to create and take ownership of their blogs they find their voices and produce better writing than when I am their sole audience. What adds to the benefit? The feedback my students get on their blogs. Comments and sharing are valuable tools that I cannot duplicate with pen and paper in the classroom. That is so true. Blogs transformed how we connect to people, how we share our ideas. Though, unfortunately, I dont post my blogs. I write once in a while and post it on my fb wall and thats just about it. I usually write about thoughts on life and how fatherhood changed me. Tom: What do you think about the statistic (from Pew) that only 10% of Internet users contribute to blogs? Not sure if that stat indicates significant penetration for content creation. They also say about 1 in 3 read blogs; seems me that is significant as a content consumption medium. I too was a reluctant blogger. I am fairly new are am always looking to connect with others who can share their own experiences with our followers. If you ever had a desire to share a post with us, we would love it. I have enjoyed your blog from a distance and now that I am more active, really see the value in your words. Sometimes the 1st step is the hardest. With so much on educators plates, sometimes it is difficult to find the time, but it certainly is a great way to get feedback that you normally would not receive. Don’t miss the two words that revolutionized publishing. Great post about the value of blogging! I just started blogging myself. I went through some of the same thoughts that you has as well…combined with working on my dissertation on cyberbullying for several years and that required a writing schedule! Your work is fantastic. Much gratitude! i feel very strongly about the power and importance of blogging for academic and professional purposes – for both faculty and our students. Thanks again for your post and insights. What do you or other commenters here think of setting rules on blogs at the intermediate grades 4-6? 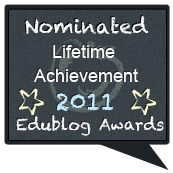 My experience doing a class blog for the first time last year: I started a closed blog for students in a blogging elective, using kidblog. I gave a lesson on appropriateness and politeness. I gave a lesson on minimum expectations for posts — sentences start with capital letters and end with punctuation, no texting or acronyms like LOL, use at least 3 sentences, and use your best spelling. In comments, they had to Plus 1 with a question. I modeled a lot. The elective is only 30 minutes. I began with screening their comments before they actually posted, to be sure they were practicing being nice. The students who followed the capitals and ending punctuation had their posts and comments OK’d first, incentive for the others. I just verbally alerted those starting with lowercase, etc. But “the others” are the ones I really want to get going on posts. And over time, I had trouble keeping up with the speed of their work. Rethinking my expectations for next year. An ancillary goal: Learn the keyboard. Given that, what are your thoughts? I saw the magic happen last year. I had been working with a students to expand her ideas and make them more clear. She would comply, but then be “done” – unless I pushed her a bit more. This girl made at least five more corrections, continually asking the commenter whether or not her new paragraph made more sense. Students need an audience besides their teacher. I’m taking an English class that encourage Blogging. At first I was very reluctant to this idea because I too fear the scurtiny of my peers. I write for me and to have my ideas and thoughts pull to pieces by people I consider to have no authority on the subject or the English language for that matter was rediculous to me. The more I blog and the more positive verses the negative feedback is almost promissing. The negative feedback just add fuel to my fire to dismiss the ignaorance of my peers or help reform my way of thinking. 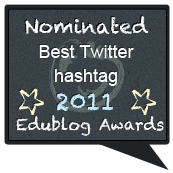 on August 6, 2012 at 3:51 PM | Reply What’s the big deal about Blogging? | Love to read, love to learn! I just published an article in the National Teacher Education journal, 2012 Summer edition, about the use of blogs in elementary school to encourage increased writing skills. I wholeheartedly agree with your assertion that blogging is not used enough or properly in elementary schools for a variety of reasons, I believe, principally because teachers feel insecure themselves in the process. Preach on! on April 25, 2015 at 12:27 AM | Reply blogging, for fun | E.B.